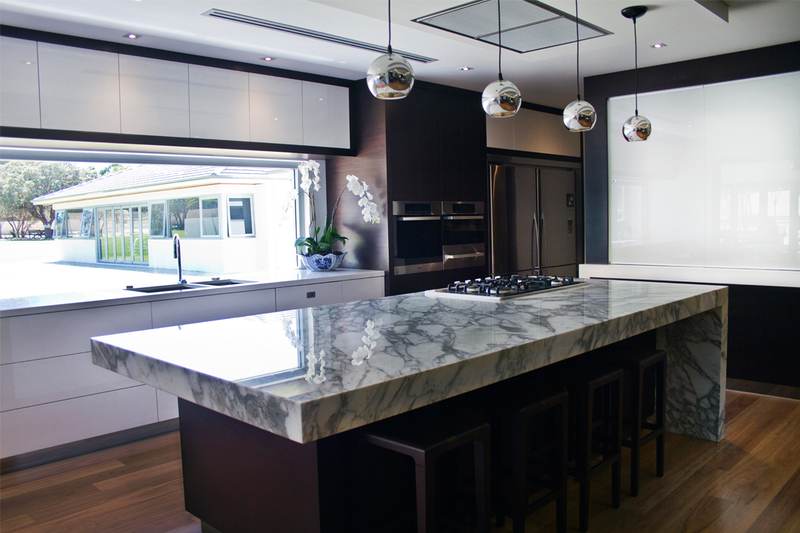 The featured kitchen was designed by the homeowner, and built by Additional Cabinets. 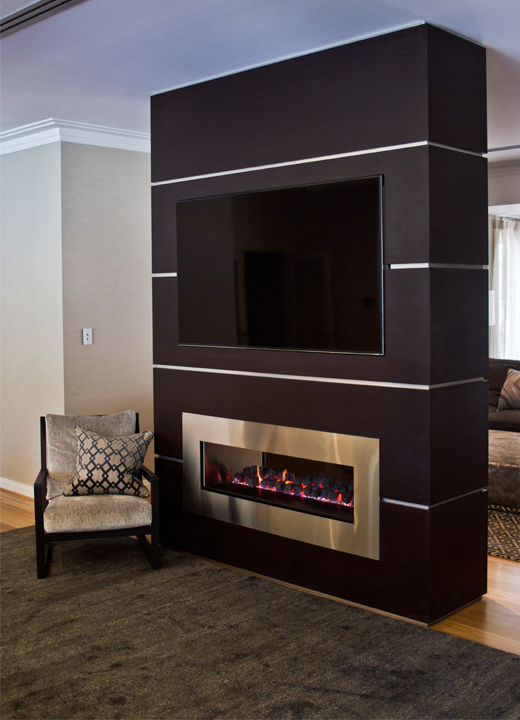 With bold finishes and luxurious fixtures used throughout the space, a daring and highly contemporary look has been achieved. A high priority for the homeowner was to have a new kitchen that had exceptional aesthetic appeal and was visually intriguing. 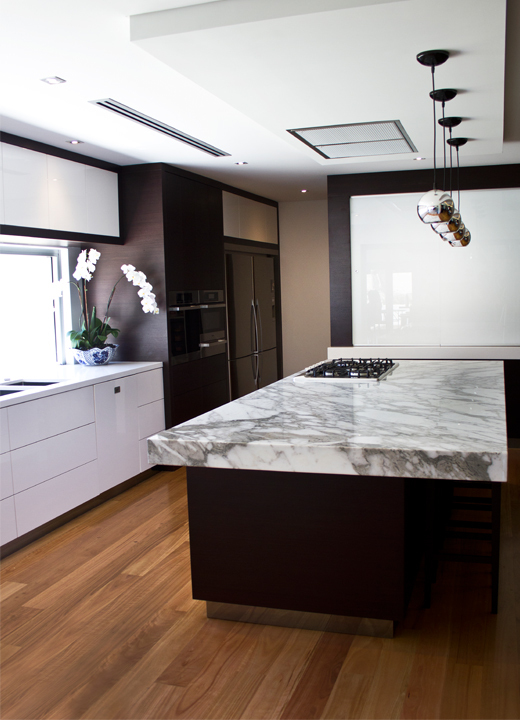 As well as installing ‘Classic’ white gloss doors and drawers finished in Torino veneer, Additional Cabinets has extensively used dark timber-look panelling in the room, providing a more conventional and subdued backdrop to the striking 100mm Arabescato-Vagli marble island benchtop. 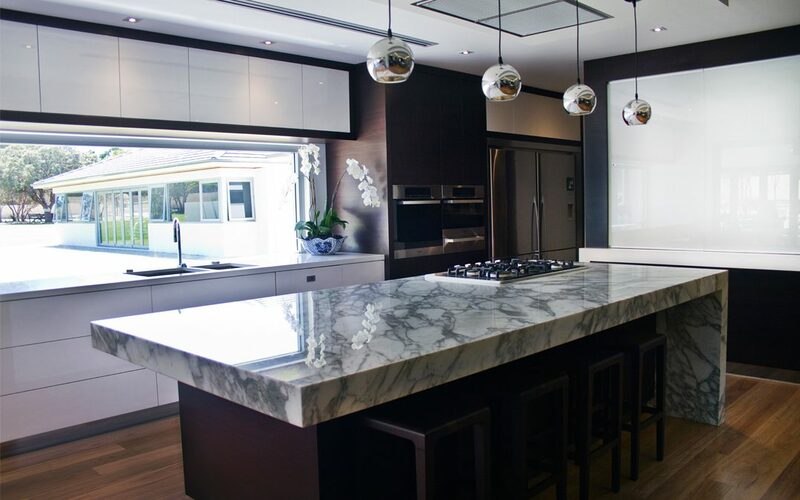 The surrounding kitchen benches are topped with ‘Arctic White’ Caesarstone, which complements the smoky mirror kickboards and floor made from durable and appealing solid oak. 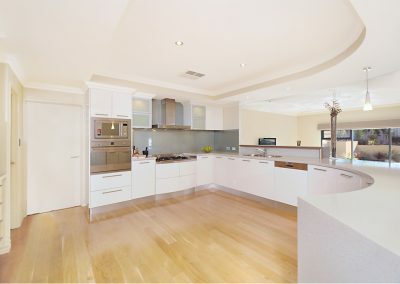 The splashback is glass for easy cleaning and Miele appliances have been used. A feature pantry is concealed behind glass sliding doors. This discreet addition to the space provides excellent storage housing a walk-in food pantry and ample bench space, which allows the main space to remain completely clutter-free. The inclusion of state-of-the-art integrated appliances, including a Miele stainless steel gas cooktop, dishwasher and pyrolytic oven as well as Qasair rangehood, touch to-open drawers and Blum TANDEMBOX drawers ensure the elegant streamlined aesthetic is consistent throughout the design. 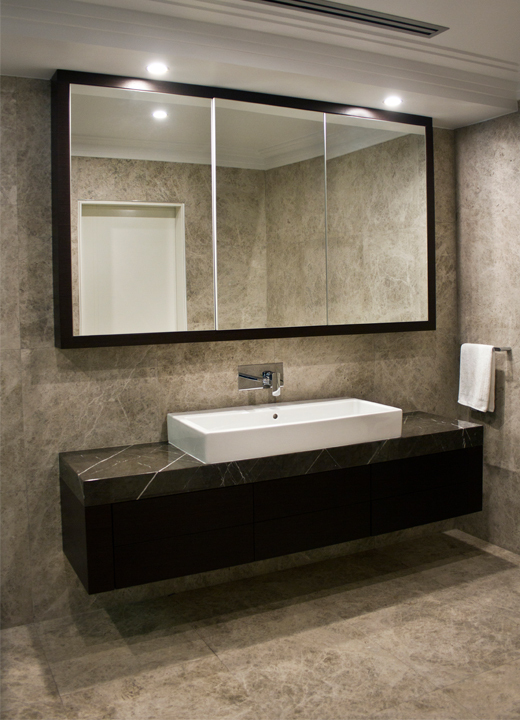 A family owned and operated business, Additional Cabinets has been an innovative leader in producing high-quality service and joinery since its inception in 1988. The company’s impressive showroom offers a vast range of colour samples, door styles and benchtops in various finishes for you to browse through, delivering functional, stylish cabinet solutions for your home.